If you are looking for a beach weekend getaway that has a relaxing vibe then Nice is your destination. 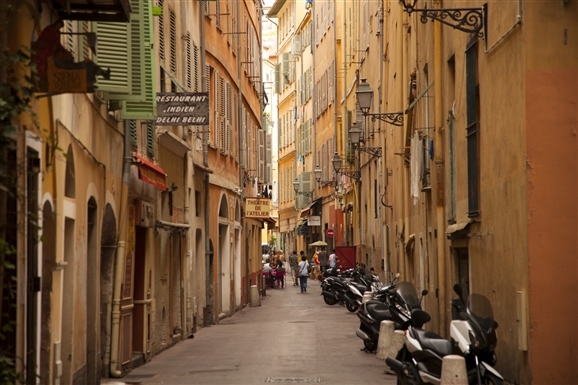 So little about Nice, It is the capital city of French Riviera and is one of the most alluring and beautiful cities in Europe- offering breathtaking landscapes, stunning stretches of beach, rugged cliffs and an intriguing culture to explore-what else could you want from your chosen holiday destination. 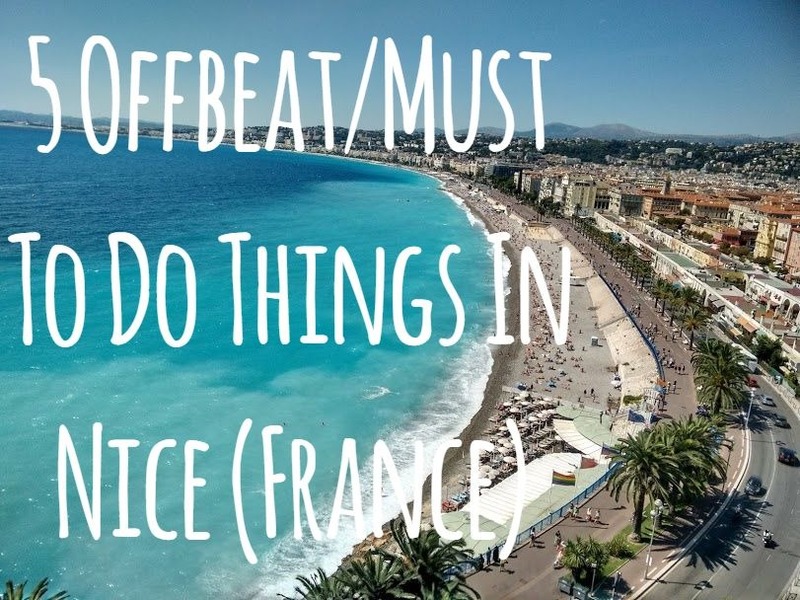 So here I include my 5 Offbeat/Must To Do Things In Nice. 1 Castle Hill: This is FREE. 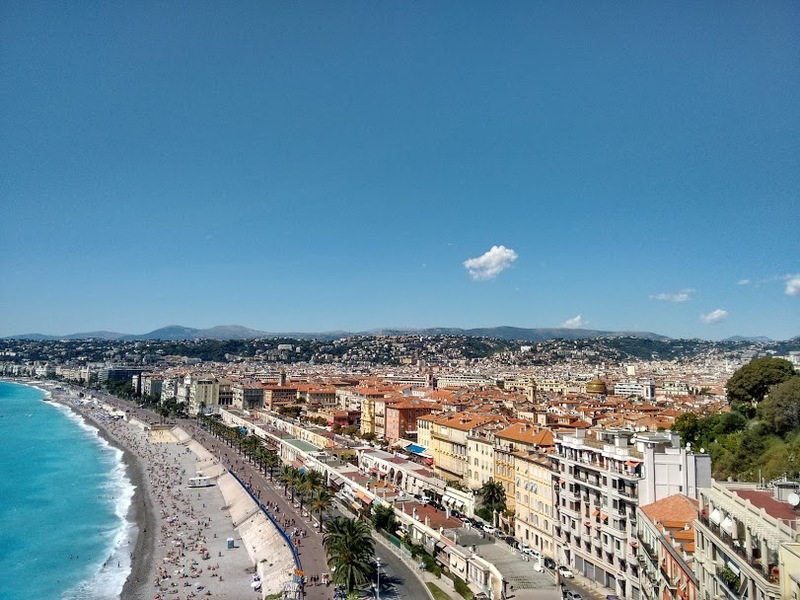 Oh yeah baby, a trip to Nice is wasted if you do not go to the Castle Hill. Okay, so you won't find any castle here, just a hill and when you reach there after 300 steps you get the incredible (read aww-strucking) view of French Rivera, the busy town and small hills. Further ahead after 20 more steps there is a beautiful waterfall which must not be missed at all. Tip: There is an elevator too at the entrance and you must use that if you don’t want to use the stairs. 2. Old Town: Yes, even before the beach I must say old town must be on your list. 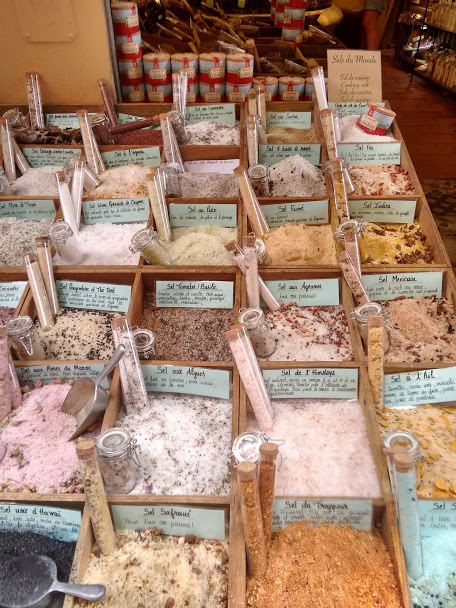 It is the honeycomb of small narrow streets offering you mix of everything-small boutiques, glamorous to simple restaurants, wine tasting, handmade soaps, spices, bath salts, and what not. Just get lost and enjoy. 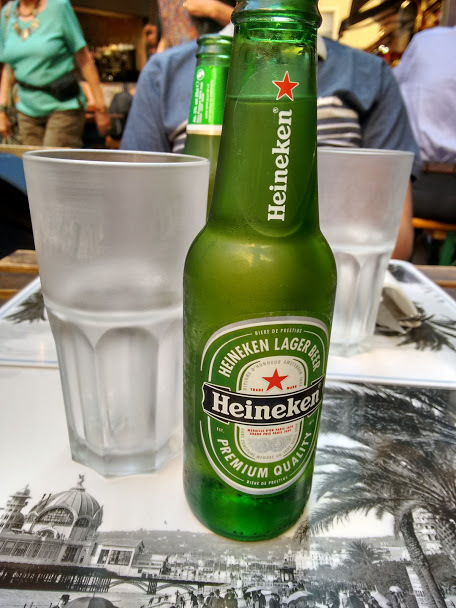 When you get tired visit Cathedral de Ste-Réparate, sit near a fountain or stop and have some beer. Tip: Try to stay near old town as the night life is pretty exciting and the buses and trams run only till 9pm and getting a taxi back hotel is very expensive. 3. 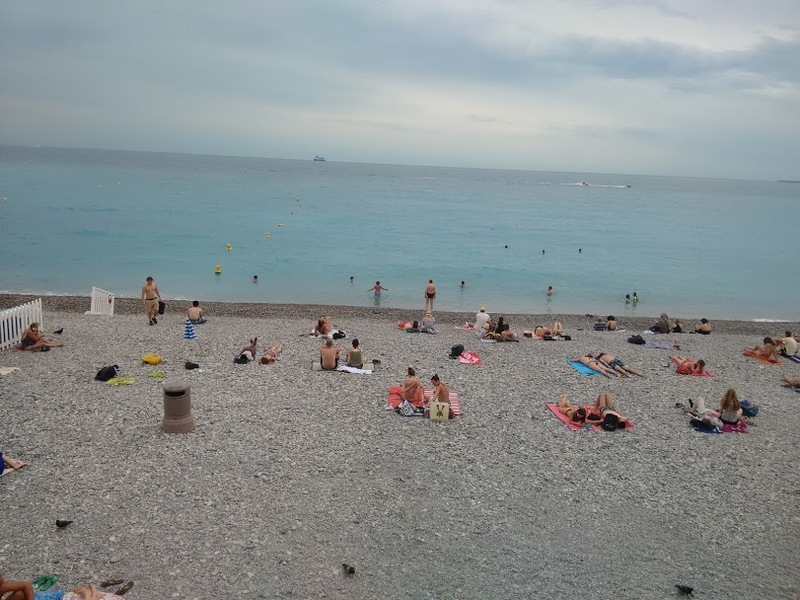 The Beach: The whole stretch of the beach is called as Promenade des Anglais. Indeed, it is one of the cities that has 300 days of sunshine and glamorous weather, so the water is warm enough to dive in. We wanted to be like locals, so we used public beach at Lenaval and the experience was good. We rolled out our towels on pebbly beach and just relaxed in the sun and water. However there are some private beaches as well, giving you beach chairs, lockers and changing room for 16 Euros or more. 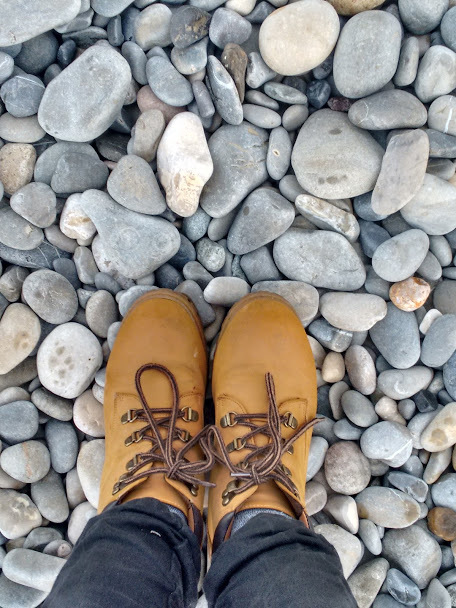 Tip: Do not rely on flip-flops as the beach is too pebbly and it might not work. If you suffer from back pain, do consider taking beach chairs. 4. 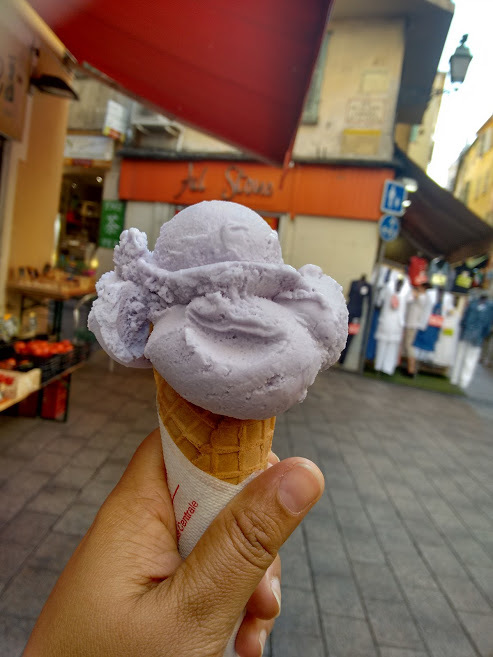 Local Food: Try to binge on gelatos and crepes during lunch and for dinner enjoy a comforting meal at the narrow streets of old town. 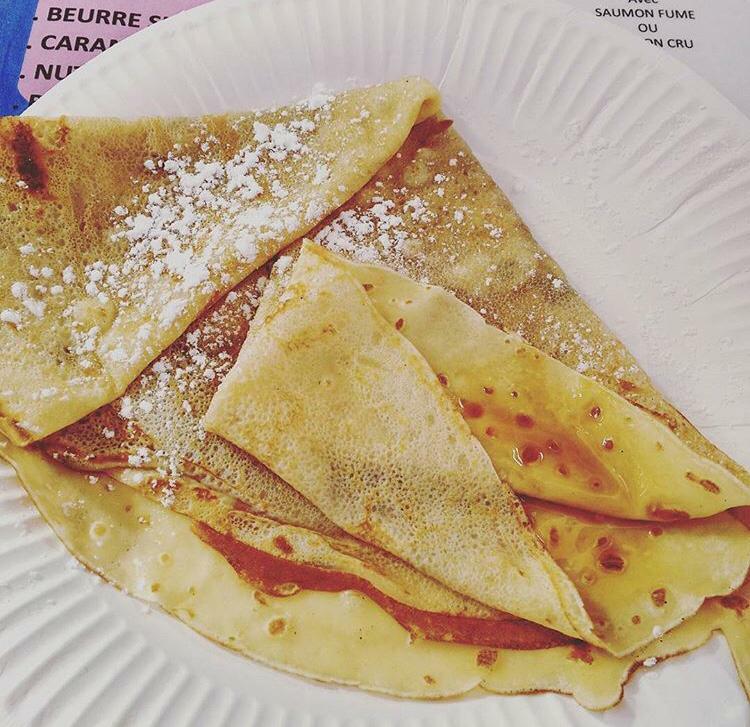 We stopped at various small cafes for lunch and ate varieties of cakes, macaroons and hot crêpes. 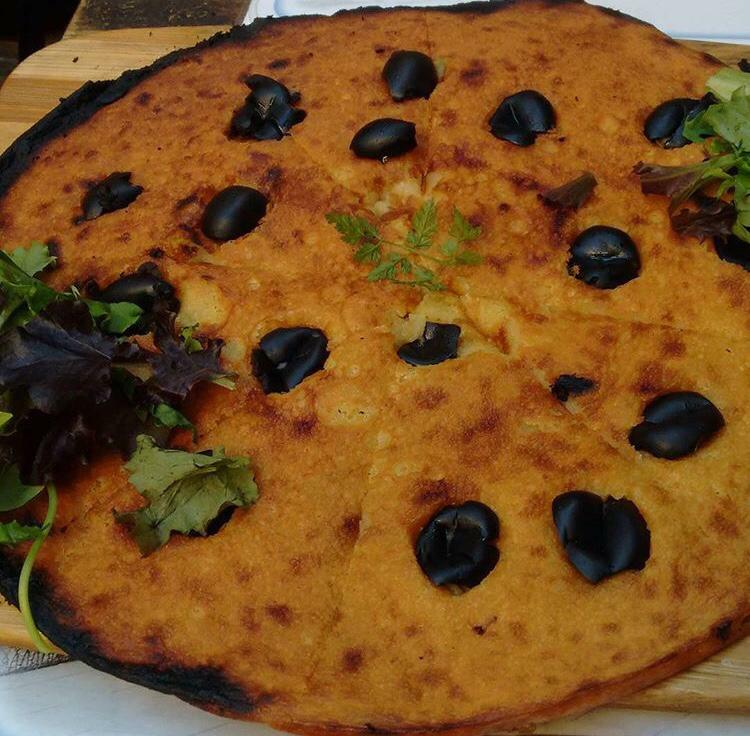 They have a local snack called Socca which is a savory pancake made with chickpea flour and is served hot. Eat at a place that makes fresh one and not just reheat the old one. Also, you can choose your toppings on Socca, we chose black olives and absolutely loved it. 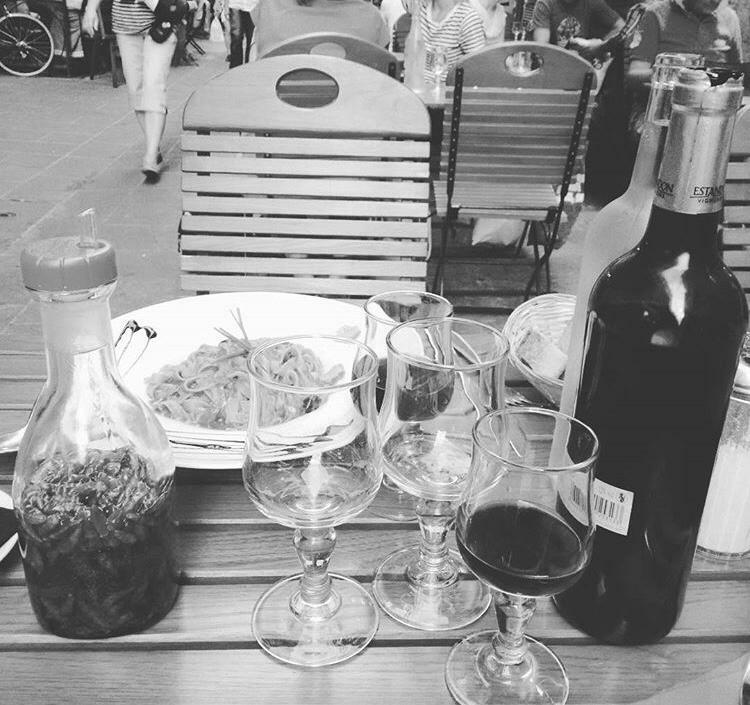 We had our dinner at a very cozy Italian restaurant and as it got darker, there were street artists on the street dancing and singing-entertaining you to the fullest. 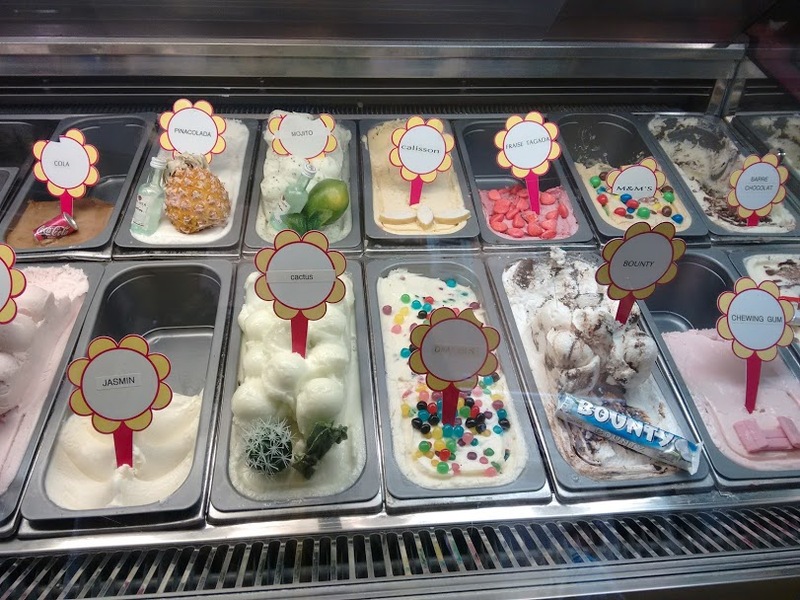 Tip: Ditch same old flavours like chocolate or vanilla instead try new flavors of gelatos like jasmine, cactus or moringa. 5. Take A Tour: I highly recommend that you take a tour from a local. We took a free walking tour of old town and we were thrilled to know so many facts and hidden gems of the city. 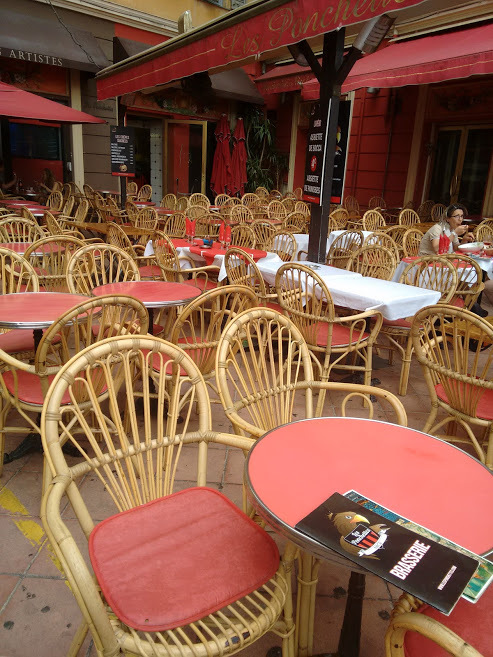 If walking is not your cup of tea, then there are segway, rickshaw and cycle tours as well. You can opt for wine tasting tour, perfume making tour to night bar crawl tour. 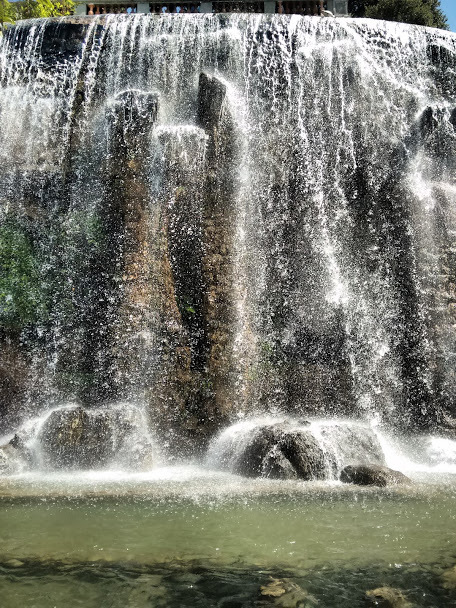 Take a look on Tripadvisor there are many kind of tours that Nice offers and book the one that suits your timings and preference. 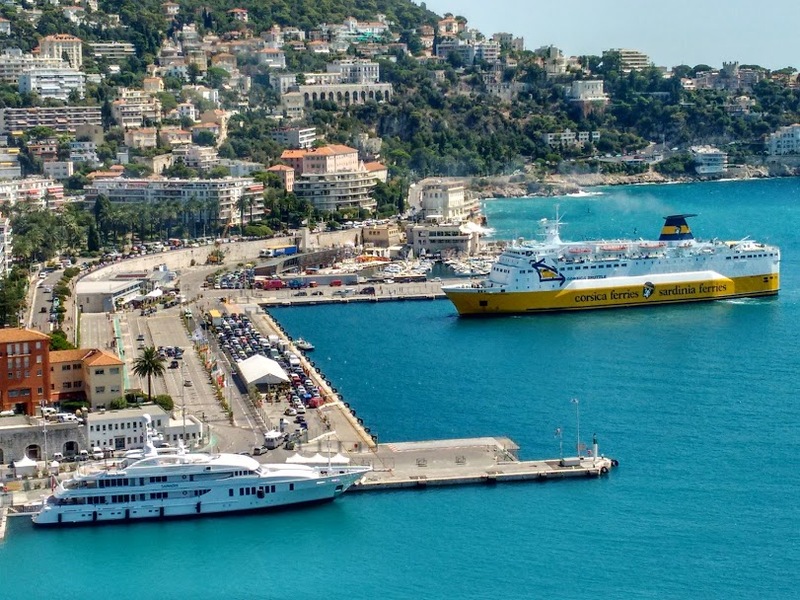 Tip: If you have more days, you can take a day trip to another nearby towns like Monaco and Eze. 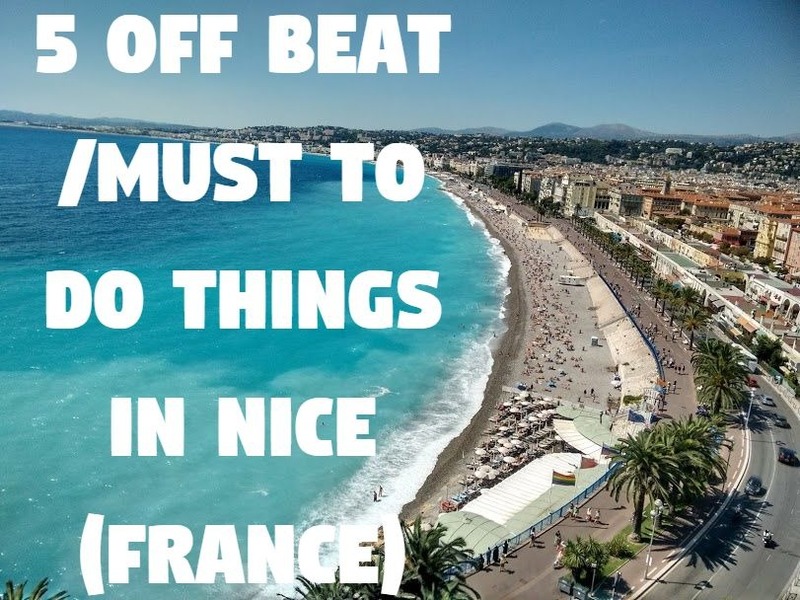 Nice offers you everything, beach, view, nightlife, food and friendly people. Go check it out yourself. School time is the best time of our lives, ofcourse we realise that once we are in college. One of the fondest memories of school days-sharing tiffin boxes. We used to get 30 minutes recess and it was all about chit-chats and food. Tiffin box was always a surprise, and my mother made sure that every time it was a happy one. 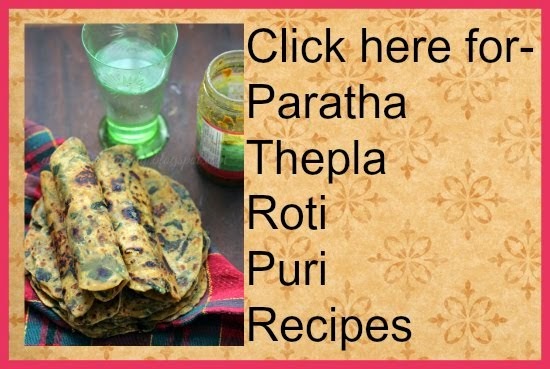 We (my brother and myself) never got bread butter or jam butter in our tiffin box, it was always about paratha subji as mother believed that only paratha subji can suffice our hunger and give all the good energy for school. It was mostly plain paratha with any sukhi (dry) subji- aloo ki subji, pata gobi ki subji, gobi matar and beans subji. 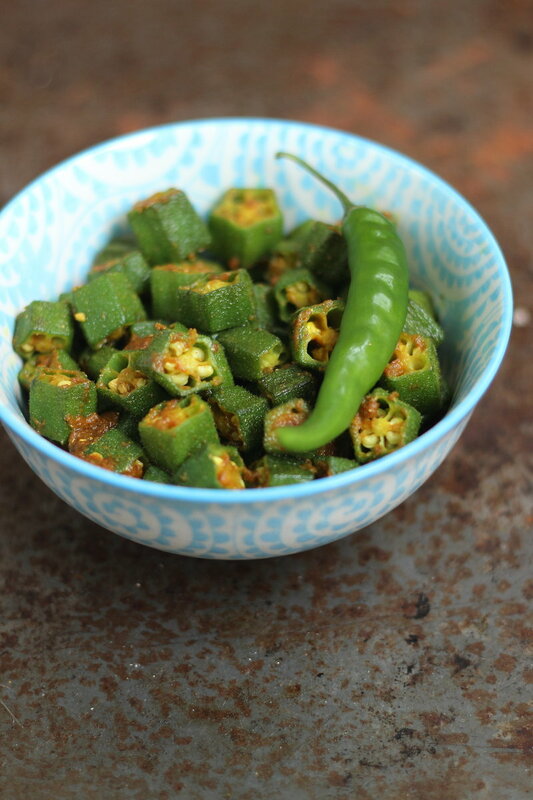 Of all these options, I treasured and enjoyed most Bhindi Ki Subji, Okra Stir Fry and you can also call it as Massala Bhindhi. So the other day I was asking my mom over the phone about why Tiffin Wali Bhindi was so good and what special ingredient did she put in it? She replied-kuch bhi nahi (nothing). The simplicity of the subji makes it extraordinary. No onion, no ginger, no garlic, no garam massala- just 3 spices and get ready in jiffy. This is tiffin wali subji, means it is ideal for packing it in your kids’ lunchbox or your husband’s tiffin. 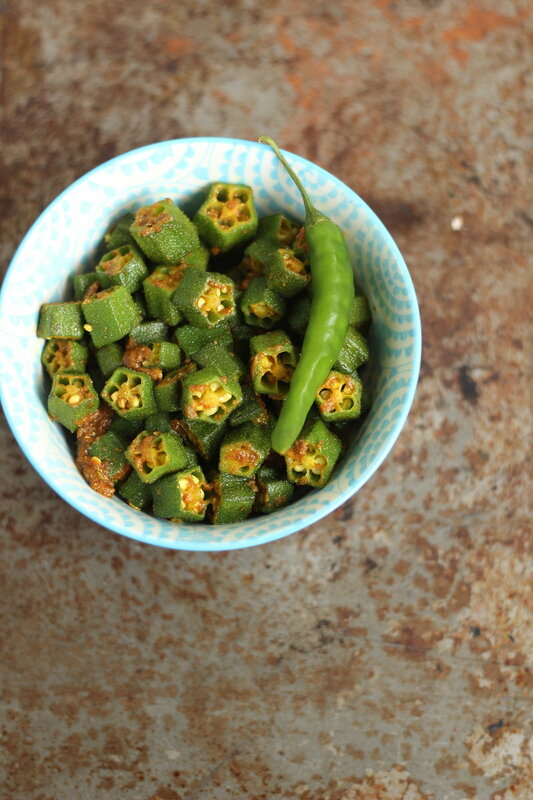 So, give makeover of dishes some rest and try this easy peasy full of flavours, good old style Tiffin Vali Bhindi a try. Heat oil in a kadai. When oil gets hot reduce the flame/heat to low. 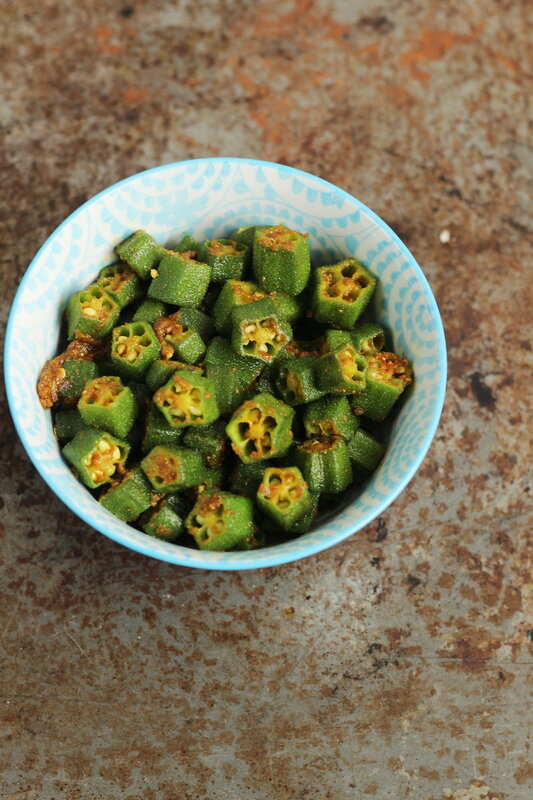 Throw okra, turmeric powder and salt. Give a quick mix. Cover and cook till okra is half cooked. Open the lid and add red chilli powder and coriander powder. Cover and cook again for 1 minute. When okra is cooked completely mix in lime juice. It is very important that you wash okra well. Make sure it is completely dry before you chop it and cook it. If the okra is not dry it will become mushy. You can use amchur powder (dry mango powder) or dahi (yogurt/curd) instead of lemon juice. 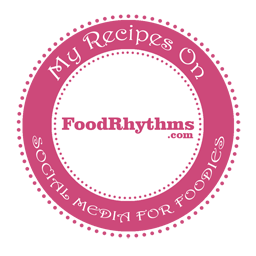 Tuesday's Tip- Leftover Cabbage Subji- What to do?? Tuesday's Tip - How To Store Methi/Fenugreek Leaves Without Drying? 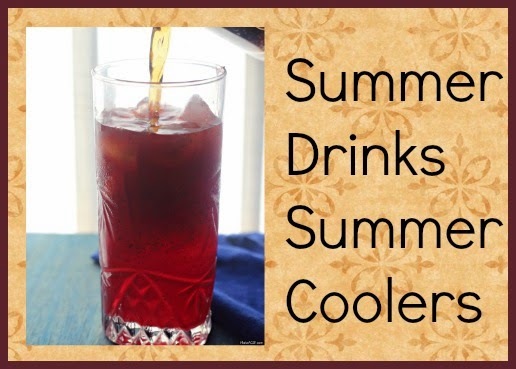 Visit Shweta's profile on Pinterest. @merrytummy. Simple theme. Powered by Blogger.